Chain-Link Fence: A Brief History | All Around Fence Co. Inc.
How often do you see chain-link fences? The chances are that if you live in a city, have ever gone to a baseball game or take your kids to the park, you have come in contact with one of these distinctive fences. They’re practically everywhere! As often as you see them around, have you ever wondered where they came from originally? While commonplace and ordinary to most, these fences have a long and storied history. Let’s dive into how chain-link fences originated and how they became what they are today. Chain-link fences actually got their start across the pond – that is in the United Kingdom – way back in the 1800s. While the identity of the original inventor remains unknown, the first major company to manufacture this type of fence was London-based Barnard, Bishop and Barnard, according to Quora. The firm found a way to mass produce the fencing using the same methodology that is used in cloth weaving machines, allowing for the rapid manufacture of fencing to keep up with consumer demand. With large expanses of land in need of affordable fencing, America was a prime destination for this fence, and within half a century this innovation was brought stateside. Anchor Post Fence Co. is often said to be the first U.S. company to produce chain-link fence, and holds the first American patent to this iconic fencing. Now known for its many industrial and residential uses, chain-link fencing has officially become one of the most important inventions in the modern era. 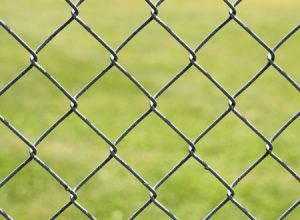 As the Chain Link Fence Manufacturers Institute notes, this distinctive fencing is used at parks, in stadiums, around federal buildings and surrounds homes or animal pens right in our neighborhoods. The impact of chain-link fences is without comparison for how integral they have become, offering a balance of strength, resilience and speed of installation that makes them exceptionally valued by residential and commercial customers alike. At All Around Fence, we pride ourselves on our extensive fence selection which runs the gamut from commercial and residential products to a full range of farming fences. We stand behind our products 100 percent, and have offered our great pricing and great service for nearly four decades. Find the fencing you need by shopping our inventory today. Stop in and see us on National Pike in Uniontown, Pennsylvania or call us at 724-439-0331 to learn more.